Come to the Matthews Art Gallery to be a part of the Community Arts Show (formerly the Winter Art Show) to meet the artists, view local artwork, and show your support! The show will be open to the public for viewing Apr. 10-18, 10 a.m.-5 p.m.. Artwork and completed registration forms accepted April 3-5 in The Matthews Art Gallery, 10 a.m.-5 p.m. Registration forms are available at the gallery front desk OR you can download it at the link below. 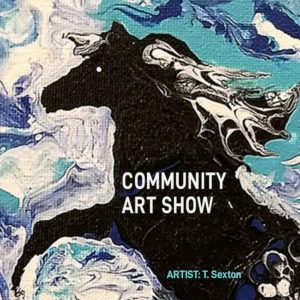 LEARN MORE about the Community Arts Show.